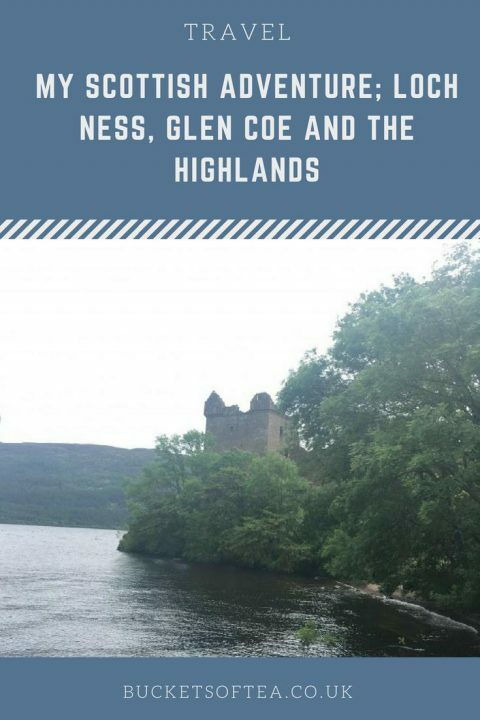 My second coach trip out of Edinburgh was to Loch Ness, Glen Coe and The Highlands. 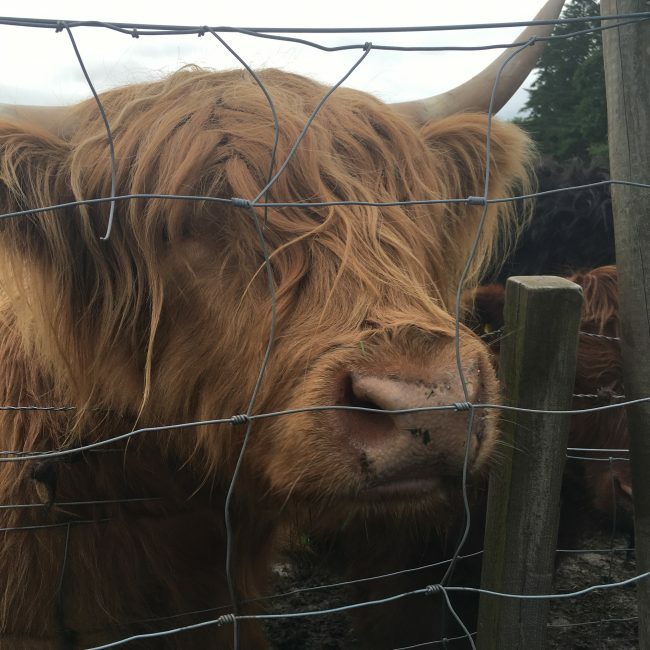 After my trip to Loch Lommand I was really looking forwards to exploring Scotland a little more. 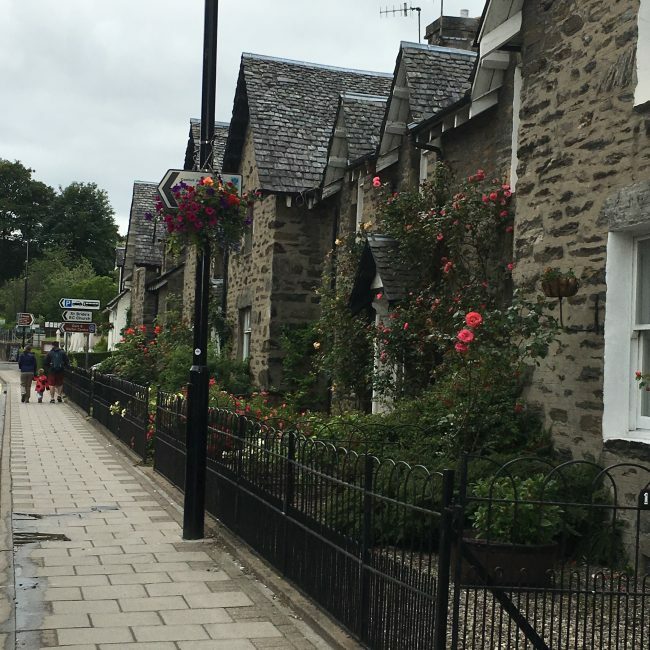 Our first stop was for a late breakfast break at Pitlochry which is a quaint village. From here we boarded back on the bus and drove north to Inverness, the capital of The Highlands. We then drove south until we arrived at Loch Ness. 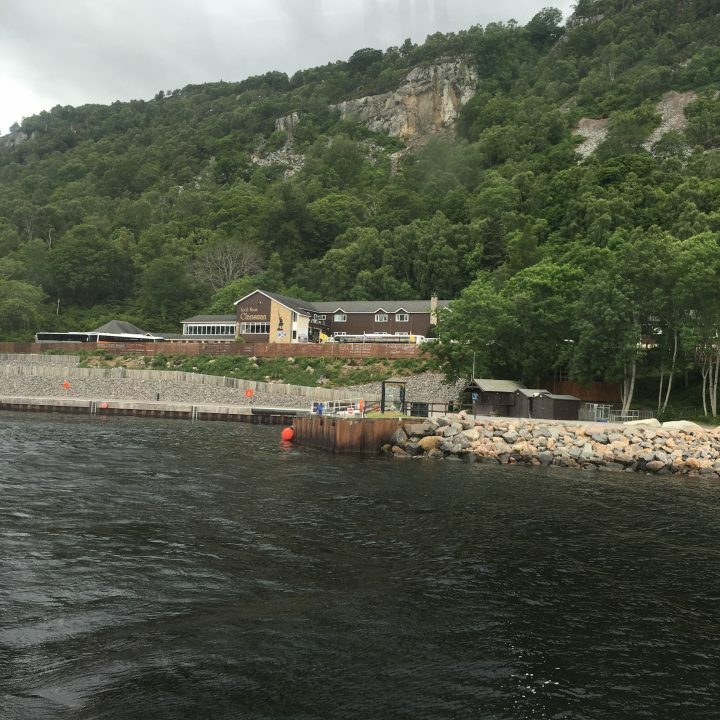 The skies were grey but after a hot drink in the coffee shop we boarded a boat for a trip on the Loch in search of Nessie herself. Although the clouds had cleared a little by the tie we got on the boat it was extremely windy and such a cold wind it was that was sweeping across the Loch. 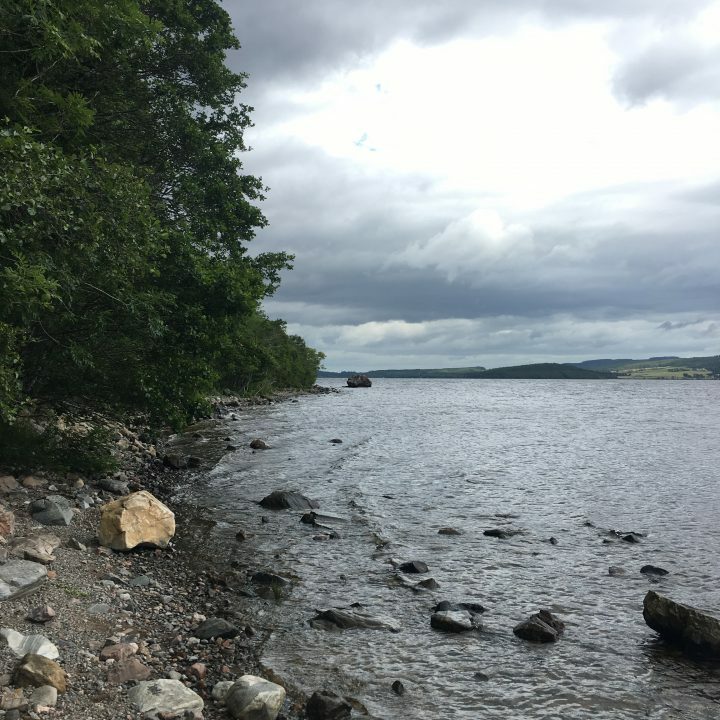 Loch Ness is the largest body of water in Britain by volume and the Loch is that large that all of the lakes and rivers of England and Wales would fit in it. Further up the Loch lies the ruins of Urquhart Castle which was built in the 13th Century. 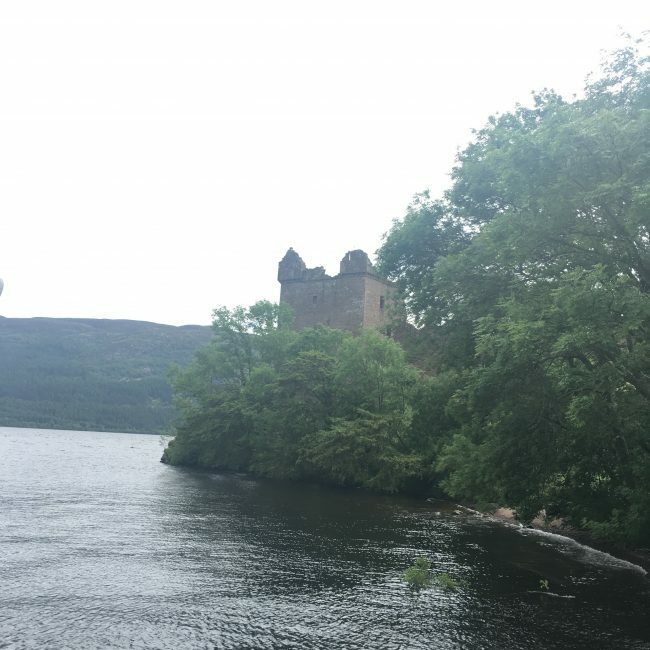 The castle played a role in the wars of Scottish Independance during the 14th Century, Urquhart played a role in the Wars of Scottish Independence in the 14th century. It was then held as a royal castle and was raided by the MacDonald Earls of Ross. The Castle was garrisoned in 1689 for the last time after the exile of the Catholic King James VII. He was replaced by the Protestant monarchs William II and Mary II. In 1692, the towering gatehouse was deliberately blown up so that the castle could never be used again as a military stronghold. On our way back to Edinburgh we stopped at the Commando memorial which i dedicated to the memory of all commandos who give their lives in service during the second world war and any commandos who lost their lives in combat since. 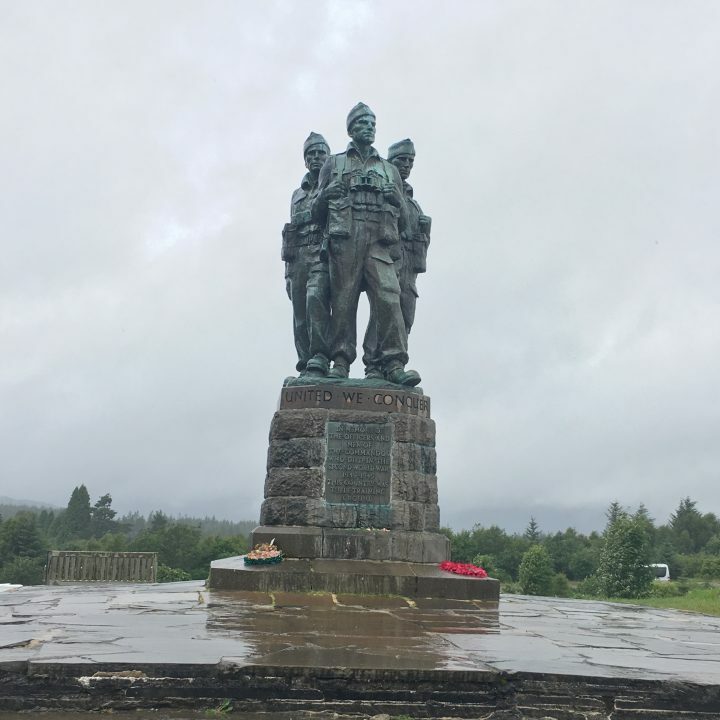 The memorial looked rather imposing against a misty grey sky. By now the mist and grey clouds along with some rain were really coming down. 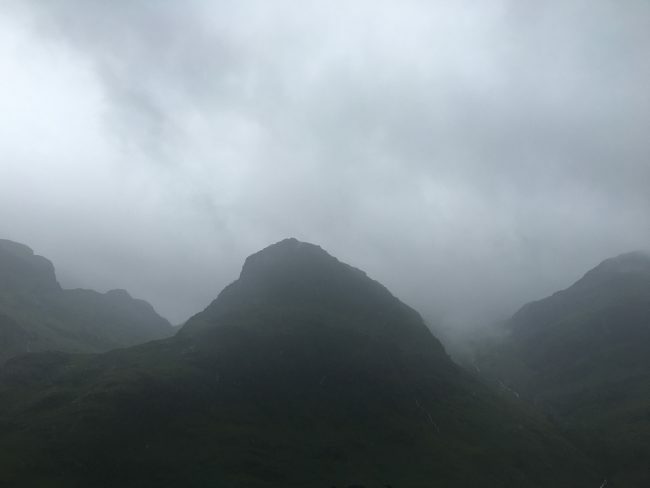 However, I managed to get some sort of photograph of the mountains in Glen Coe. I could only image how stunning this sight must be on a sunny day. Finally we stopped an met one of the areas well known inhabitants. You can’t go to the Scottish Highlands and not meet some Highland Cattle up close. Again this was an extremely long day (over 12 hours) but it was lovely to see the sight of the Scottish Highlands. Again due to the time spent on the coach I wouldn’t advise this trip for children. I’d really love to return an spend more time in this area exploring a little more, preferably in dry sunny weather! The cost of this tour was £45. Gorgeous photos! It’s the other side of the world for me and I love to see the world through the eyes of others. Thanks for sharing.